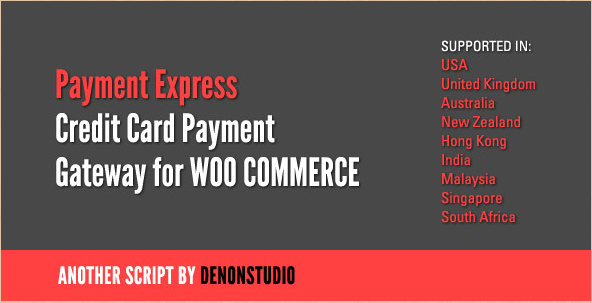 This WordPress ecommerce plug-in is designed specifically to simplify payments in India. ZaakPay is intended for integrating in online business with an intranet merchant account. What makes this plug-in so unique is that it is designed to deliver the fastest merchant account approval of any payment gateway in India. The plug-in includes a highly intuitive dashboard, complete online sign-up and card application, full compatibility with payments via Visa, MasterCard, Mastro, Visa Electron debit cards, as well as a host of other payment options. 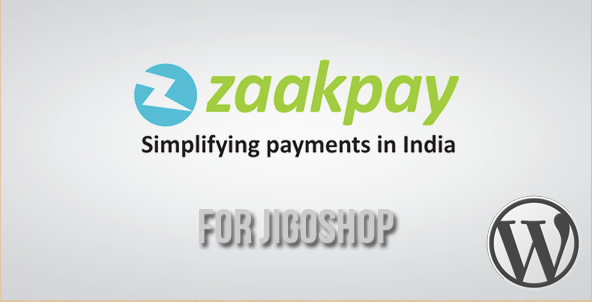 ZaakPay Gateway for Jigoshop is a great way to simplify payments in India and allows for card application decisions to be made within 7 business days. Designers and developers looking for a high quality e-commerce plug-in for WordPress that will integrate perfectly throughout India should consider ZaakPay. 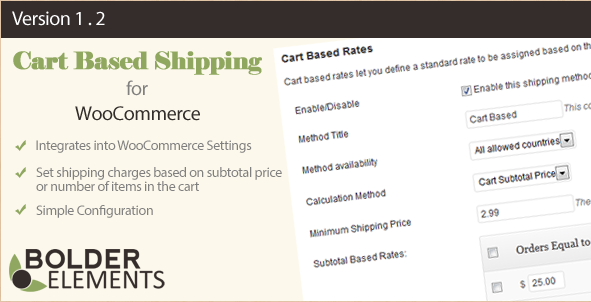 WooCommerce Cart Based Shipping integrates perfectly into the WooCommerce settings and allows for setting shipping changes with regard to subtotal price or the number of items in a specific cart. Best of all, the configuration is simple, intuitive and easy to use. The unique thing about a cart-based shipping estimate is that it gives you the opportunity to set different rates for shipping related to specific items like when the customer has chosen and added products to their cart. The interface offers methods of calculation that include subtotal price and actual number of items in a particular cart. In addition, the interface allows you to set specific features based on a particular country or location. The plug-in is highly intuitive, easy to use and robust. It offers full documentation and helpful customer assistance when needed. In addition, it is configured to work with open-source type WooCommerce plug-ins. 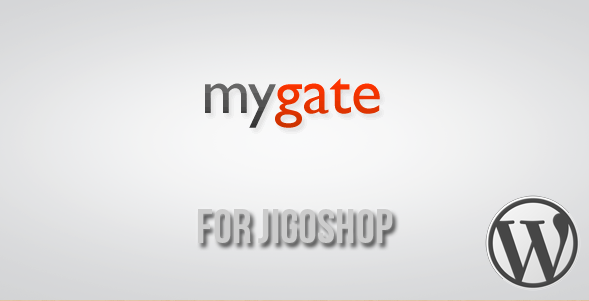 Here is a fully functional and fully documented e-commerce plug-in that integrates perfectly with JigoShop. The interface is a simple payment gateway that allows for merchants to accept a wide range of online credit card payments. In addition, this highly useful and intuitive e-commerce plug-in for WordPress allows merchants to view and effectively manage online credit card type processing. It also allows for a variety of other transactions through the easy to use and intuitive MyGate web console. What makes this feature truly unique is that the web console can be used to easily and effectively manage a variety of transactions that are processed through a typical credit card type getaway. This highly responsive and easy to install plug-in also gives users the option to accept a wide range of credit card payments from a standard JigoShop type store. Discover the power of MyGate and begin accepting payments in a very short amount of time. WordPress Link Cloaker is a fully automatic and highly effective link detection system. It supports posts and pages as well as custom pages. In addition this extremely useful and easy to install plug-in supports WooCommerce type affiliate products. This e-commerce plug-in for WordPress is fully customizable and is easily able to effectively hide referrers. Because this plug-in is so effective at detecting every link in a post, page or affiliate product is perfect for all types of affiliate sites. The plug-in works perfectly by allowing a user to click on a link and immediately be redirected with a custom redirect type of script. What makes this system so unique is that the script is hidden so an affiliate and other users are not able to identify where a visitor is coming from. The WordPress eCommerce plugin offers fully customizable referrer script pages, a customizable rewrite base and full and simple WooCommerce integration. 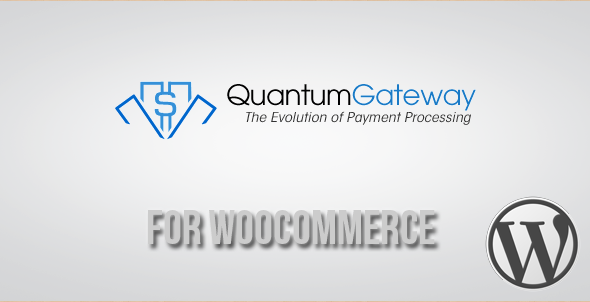 Quantum Gateway for WooCommerce is billed as the only true evolution of payment processing. There is a good amount of truth to the statement in that this WordPress compatible e-commerce plug-in was designed and developed to give businesses a useful and feature rich payment processing tool. The plug-in is easy and simple to install and use and offers a wide range of functionality. Quantum Gateway for WooCommerce allows users to accept a wide variety of credit card payments through a WooCommerce type storefront. By integrating the use of a quantum payment gateway account users are easily able to accept credit card payments with a minimum amount of effort or complexity. This great little plug-in is robust and fully functional and features full documentation as well as effective and attentive customer support. Explore the possibilities with Quantum Gateway for WooCommerce and start accepting credit cards in a fast and efficient manner. This plug-in for e-commerce is highly useful and effective as a secure hosted payments page solution. It is integrated through secure payment gateways and allows users to accept a wide selection of credit card payments through a JigoShop store. The plug-in is actually a product of secure pay and is easily integrated and installed. In addition, this plug-in is fully PCI DSS compliant and offers users the ability to create invoices and take payments. Other features include e-mail notifications to customers and merchants alike. 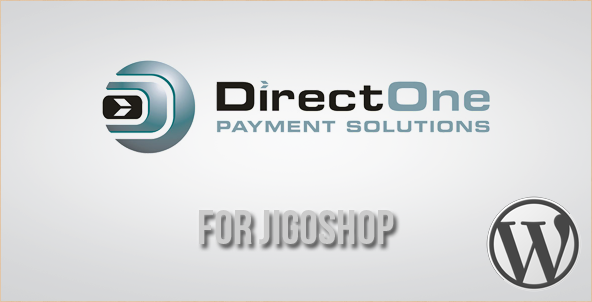 Direct One Payment Solutions for JigoShop has a variety of customization options for the payment page that is implemented through secure login functionality. The plug-in is fully supported and offers responsive customer support. This robust and highly functional yet simple and easy to install e-commerce plug-in is feature rich and perfectly suited for a wide range of e-commerce type websites. MOLPay is unique in that it is one of the original multi-currency type payment gateways from regions of Southeast Asia. The plug-in allows for accepting cash payments for online purchases at physical locations such as bookstores and other merchant stores. This feature-rich e-commerce plug-in is easy and simple to install and set up on virtually any e-commerce type online store. 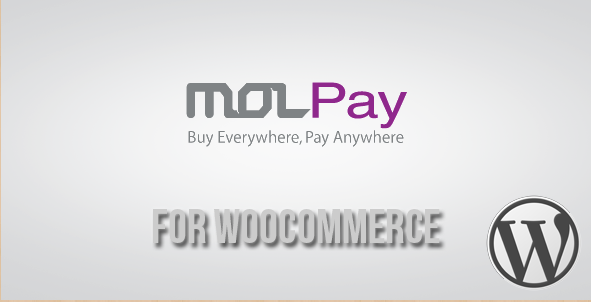 MOLPay is easily integrated with a variety of e-commerce payment solutions. In addition, it offers a full range of fraud management and payment security solutions. MOLPay is a powerful e-commerce plug-in that is credited with processing over 1 billion transactions each year. The plug-in also allows for accepting credit card payments via WooCommerce. 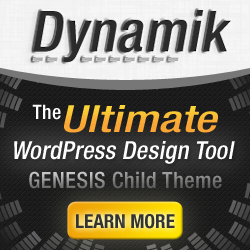 This great little plug-in is easy to install, highly intuitive and very functional. It comes with full documentation and excellent customer support. Discover MOLPay and start accepting a wide range of payments. WooCommerce Gum Gallery is a powerful and highly effective e-commerce plug-in with QuickView panels as well as an image lightbox functionality and zoom features. The plug-in features a host of options including simple and easy implementation and set up, as well as easy to use shortcodes. Other features include full compatibility with a wide range of devices including tablet and mobile devices. Mobile functionality is trigger side panel ready. In addition, the plug-in offers social share icons, optional 5 tabbed panels on product information that is fully customizable and displayed by product category functionality. This useful e-commerce plug-in also includes 3 CSS3 loader animations for side panel loading. WooCommerce Gum Gallery is a robust and highly responsive yet easy to use and easy to implement WordPress compatible e-commerce plug-in. It offers full documentation and helpful customer support. Take WooCommerce Gum Gallery for a spin today and make your e-commerce functionality that much better. This e-commerce plug-in is designed for easily setting up Nochex as a simple payment option. Nochex Payment Gateway for WooCommerce offers a payment module installed so users cannot only accept credit card payments, but Nochex users can also pay using a Nochex type account. What makes this e-commerce plug-in so useful is that customers are not required to have an existing Nochex account to be able to make payments. In addition, Nochex incorporates advanced types of anti-fraud protections such as 3-D secure. This anti-fraud functionality allows for Internet authentication protocols that are similar in design to those used by MasterCard. This technology allows customers to feel confident in making payments via online modalities. In addition, the functionality allows for e-mails to be sent directly from Nochex, thereby providing payment confirmation to the customer and seller. 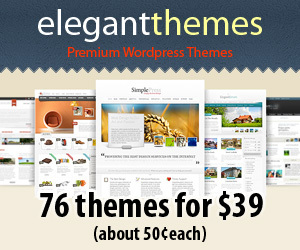 This highly useful and functional e-commerce plug-in is responsive and easy to install. It comes with full documentation and full customer support. WooMazon is a simple yet effective and highly functional e-commerce type WordPress plug-in. The plug-in features a variety of import functionalities including image, product title, product description, product price, product sales price, product price variation as price, and product categories. In addition, this fully functional and highly responsive yet easy to install plug-in for e-commerce offers the ability to browse on Amazon, apply filters and copy URLs into Amazon fetch. The plug-in comes with full documentation and full customer support. Having an e-commerce plug-in that integrates easily with Amazon and a variety of Amazon selling features makes this plug-in highly desirable and useful for those who place a lot of emphasis on selling through Amazon. Explore the usefulness and effectiveness of WooMazon and begin integrating immediately with Amazon. Here is a great e-commerce plug-in that allows you to easily turn your blog into an online money making business. The plug-in also allows users to create a store that offers a wide range of products from merchants throughout the world. This is done through the link share affiliate program. The plug-in works perfectly on WordPress as well as Facebook platforms. In addition, bulk importing of products from any merchant or online store throughout the world is possible. LinkShare eStore Affiliates Plug-in is a one-time setup via the WordPress platform and is as simple and easy as a plug-in can possibly be. The plug-in features a custom theme that is easy to personalize directly through the admin panel. It also offers the ability to add a variety of custom affiliate settings. This highly functional plug-in for e-commerce includes breadcrumbs, default install settings, link nofollow features, and also allows the ability to exclude custom categories from the home page. LinkShare eStore comes complete with documentation and full customer support. eWay Direct for WooCommerce is a unique Australian-based payment gateway with full PCI compliance compatibility. It features e-commerce solutions for a variety of businesses, enabling them to process online credit card payments easily and with a maximum level of security. Set up is effortless and easy, and the plug-in includes a comprehensive support system. This highly effective e-commerce plug-in offers a variety of payment products with dozens of partner banks and a wide range of value pricing options. eWay Direct for WooCommerce enables your online e-commerce site to quickly and easily have access to a substantial customer base by way of credit card giant Visa and MasterCard. eWay is a simple and convenient way to accept online payments. In addition, the plug-in is streamlined and does not require the redirection of customers to the eWay site. Boasting full documentation and responsive customer support, eWay is a great way to increase your e-commerce site’s functionality. 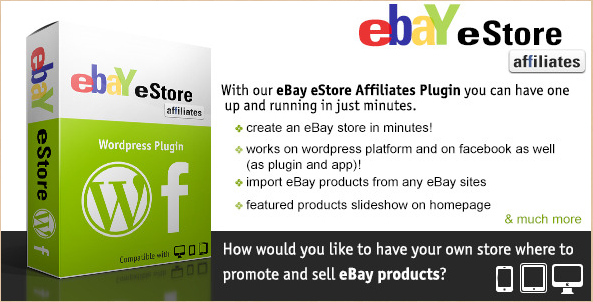 eBay eStore Affiliates Plug-in can be installed and fully functional in a matter of minutes. It enables users to create an eBay store that integrates perfectly with the WordPress platform as well as the Facebook platform. In addition, it allows users to import eBay products from a variety of eBay sites and also allows for featuring products by way of a slide show on the home page. Promoting and selling eBay products via your e-commerce site has never been easier than with this extremely functional and highly useful plug-in known as eBay eStore Affiliates. This highly creative and easy to use e-commerce plug-in allows users to quickly integrate eBay products into their own e-commerce site. Features include a full array of analytics, default install with auto-configuration, a featured products slideshow functionality, product details and image gallery, and eBay product review section, the ability import eBay products from any eBay website, as well as a host of other useful functions. Discover the power of eBay eStore Affiliates Plug-in today. 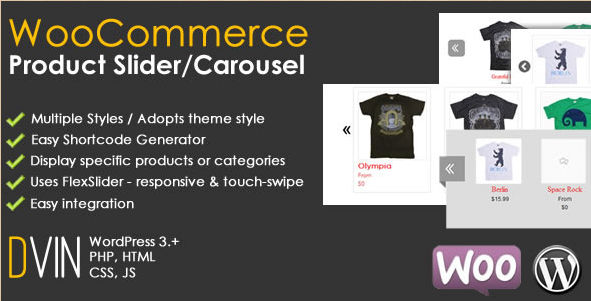 This useful and feature-rich e-commerce plug-in for WordPress allows users to create a fully responsive slider or carousel type showcase for a variety of WooCommerce products. This functionality works equally well with specific product types or simply as a bulk product selection from a shop. In addition, the plug-in supports advanced touch devices such as iPad, Android and iPhone. This allows users to easily swipe to rapidly scroll through a wide range of products. Features include a full responsiveness that easily adapts to mobile phones, tablets and other devices. The plug-in allows for creating a variety of sliders and carousels to display a wide range of products, and offers the ability to select from product categories or featured products. In addition, it allows users to choose how they would like to display their products, whether it is from a category or from a featured products list. Product Slider Carousel for WooCommerce is highly responsive, fully functional and robust and comes with full documentation. 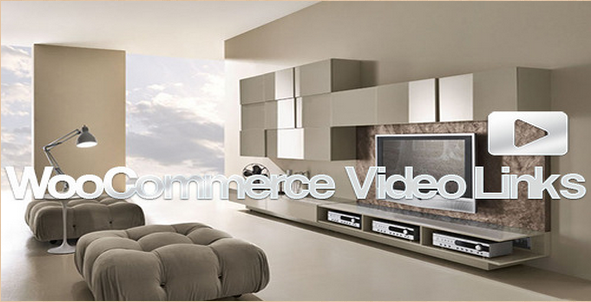 WooCommerce Video Links allows for easy and convenient video previews and WooCommerce. In addition, its long list of features includes embedded video previews that load in a light box, a full range of shortcodes, the ability to insert anywhere on a page, the ability to load product pages into a lightbox, full support for external video files, the ability to load video from major video sites, as well as the ability to load external images. WooCommerce Video Links is simple, easy and convenient to install and highly intuitive and functional. This e-commerce plug-in comes with full documentation and a highly supportive customer service. 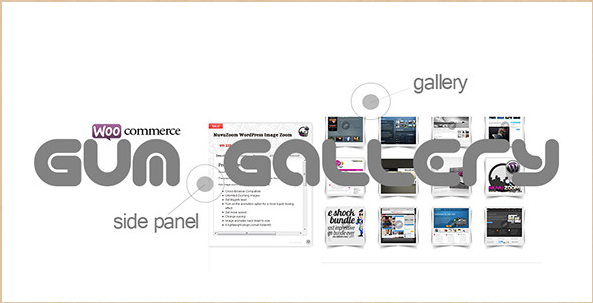 The plug-in also features PrettyWoo that is able to accommodate a wide array of shortcode inserted galleries. Discover the power of video via the e-commerce plug-in known as WooCommerce Video Links today. It integrates perfectly with WooCommerce and JigoShop plug-ins. Give your e-commerce site a complete facelift with this versatile and useful e-commerce plug-in. 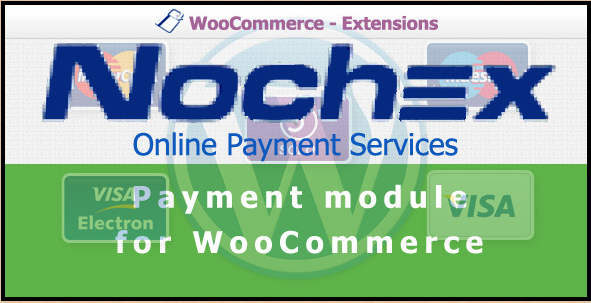 This efficient and effective payment module for WooCommerce offers a wide range of features and functionalities. FeeFighters Samurai Payment Gateway can be integrated by simple transparent redirection, or server-to-server functionality. This fully functional and highly responsive e-commerce plug-in offers the ability to accept Visa, MasterCard, American Express, Discover, diners, and JCB. In addition, all of these payment gateways are fully accessible without hidden expenses or fees. While this plug-in is only available in the US at the present, it is gaining in popularity and will likely be available worldwide in the very near future. Other powerful features of this e-commerce plug-in include its ability to allow buyers to securely store their credit card information at your online store using FeeFighters API tokens. 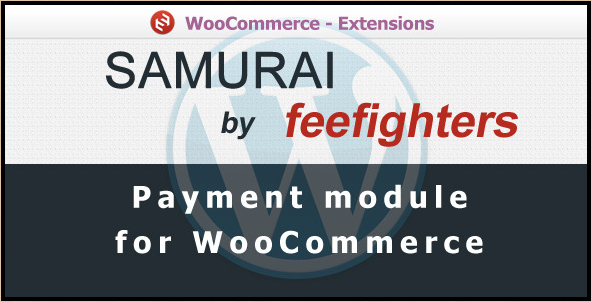 FeeFighters Samurai Payment Gateway is an excellent e-commerce plug-in for WordPress that offers full documentation and comprehensive customer support. This useful e-commerce plug-in provides the ability to activate a fancy preview gallery on your WooCommerce products when viewing a catalog listing. In addition, it offers the ability to show all images for each product as a pop-up gallery, and the ability to easily install and simply upload the files and active them quickly. It offers a fully customizable look for the fancy product preview and the ability to configure the image sizes and crop images. Other powerful features include the ability to choose page colors, page position, fancy preview image dimensions, fadeout of products on page, as well as the ability to enable or disable the fancy preview functionality. The plug-in offers visitors the ability to have a more intuitive and user-friendly shopping experience. Discover the power of Fancy Product Preview For WooCommerce and take your e-commerce website to a whole new level. 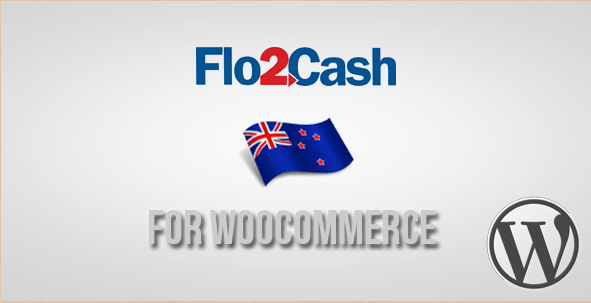 Flo2Cash Gateway for WooCommerce is a high quality provider of credit card and debit card merchant functionality for businesses. By installing this plug-in in an e-commerce site, owners gain immediate access to a host of credit card and debit card payment processing services. This powerful WordPress e-commerce plug-in gives store owners simple and easy functionality for accepting credit card payments without concern for customer credit card details. All credit card details are handled directly by Flo2Cash. This e-commerce plug-in is fully functional, robust and responsive and includes full documentation as well as excellent customer service. This handy e-commerce plug-in offers the ability to accept credit cards on your website while saving online shoppers stress and confusion. The main feature of this useful and functional e-commerce plug-in includes the ability to accept payments directly on a website using PxPost by Payment Express. E-commerce website visitors desiring to make a purchase simply use their credit card when checking out and Payment Express is then able to process the payment. The greatest benefit of this functionality is that customers on an e-commerce website are never required to leave that website for making any type of purchase or payment. The plug-in comes complete with full documentation and customer service support. Discover the unbridled power of PaymentExpress Credit Card Gateway for WooCommerce and make purchasing simple and convenient for your customers.